FOLLOWING repeated bloody attacks on three Kaduna villages, youth wing of Southern Kaduna People’s Union (SOKAPU), Wednesdaycondemned the development and accused the State government of non-challant attitude to their plight over the stretch of time. The people of Gida Biyu, Akwa’a and Angwan Anjo communities in Jema’a local government area of the state have been protesting over alleged incessant bloody invasion of their communities by armed Fulani herdsmen. Speaking through its National President, Comrade Nasiru Jagaba, the Union yesterday said the region has been, for a long time suffering from suspected Fulani herdsmen without any serious measure put in place by the state government to stop the attacks which he said has claimed more than 4,000 lives who were mostly women and children since inception in 2010. “I call on the youth of Southern Kaduna not to succumb to the temptation to use violence in our struggle for freedom, but we must relentlessly speak until the day that all their evil plots fail while equity and justice prevails. Let us break the silence and be dissociated until no inch of land in Southrrn Kaduna is given for grazing reserve,” he stressed. But in a swift reaction, the State Government said it has deployed security agents including soldiers and police to the affected area to nip the menace in the bud and put the situation under control. 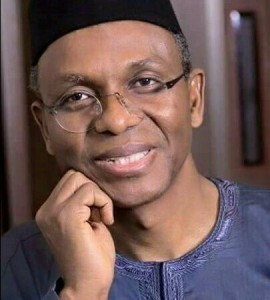 In a statement issued by Special Assistant (Media and Publicity) to Governor El-Rufai, Samuel Aruwan, El-Rufai condemned the attacks, and expressed his condolence to the families of the victims. The statement also disclosed that a detachment of soldiers and police have been drafted to the communities. The statement read in part, “the government has directed relevant officials to taken over the treatment of all those who were wounded. The State Emergency Management Agency (SEMA) is also mobilizing relief materials to the affected communities and persons, and will be taking an inventory of damage in the affected communities”.